According to a 2015 Housing Needs Assessment, 2.8% of people were living in overcrowded conditions, and that the number of households spending more than 30% of their income on housing increased by 370 families. 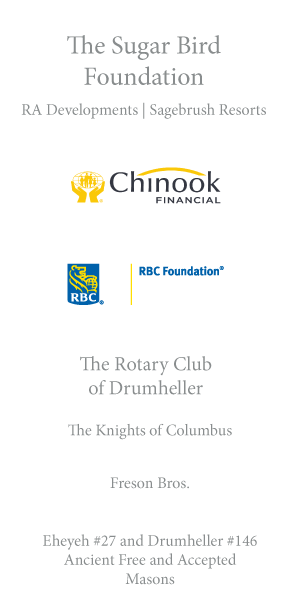 The report also indicated that more than 600 homeowners currently living in Drumheller would likely benefit from external programs and supports to help them maintain stability of their housing. 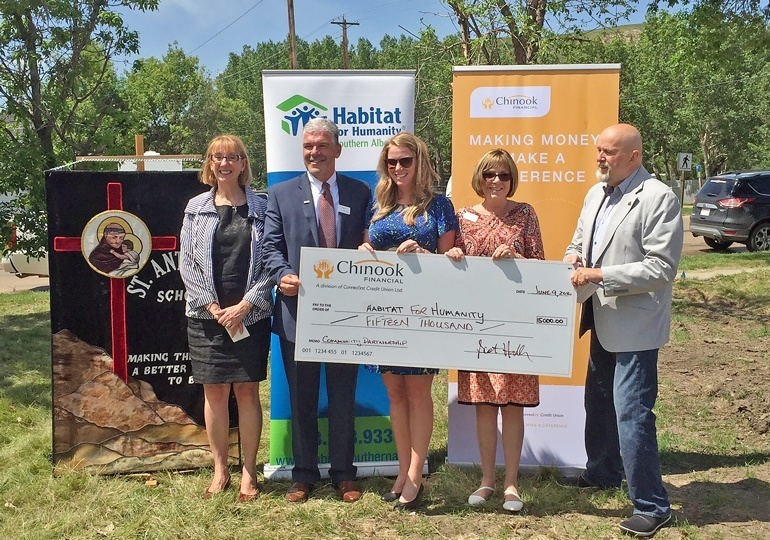 Habitat for Humanity was established in Drumheller in 2015 to help local families enter the housing market by purchasing homes through our affordable mortgage – a no down payment, no interest mortgage, with customized monthly payments. In 2015, Drumheller resident Albert Clark generously donated land on Poplar Street (pictured below). The existing structure was cleared in the spring of 2016. with the plan to begin a duplex in the spring of 2018, to be completed by the fall of 2018. Learn more about how you can own one of these homes and then take the online Eligibility Quiz. If you qualify, you will be invited to our next home ownership information session to find out more about the process of becoming a future homeowner! Thanks to our community's generous support, we are just $13,000 away from our goal of raising $80,000 to make this build possible. Please make your tax-deductible donation today! 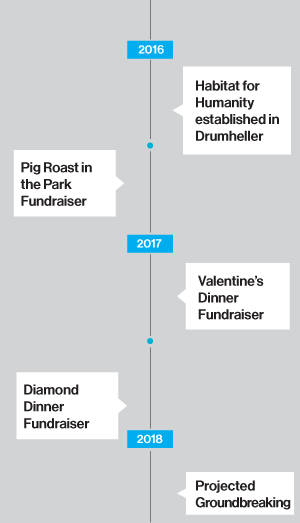 "Helping people in need access affordable housing in our community is a shining example of our organization's mission to make money make a difference."